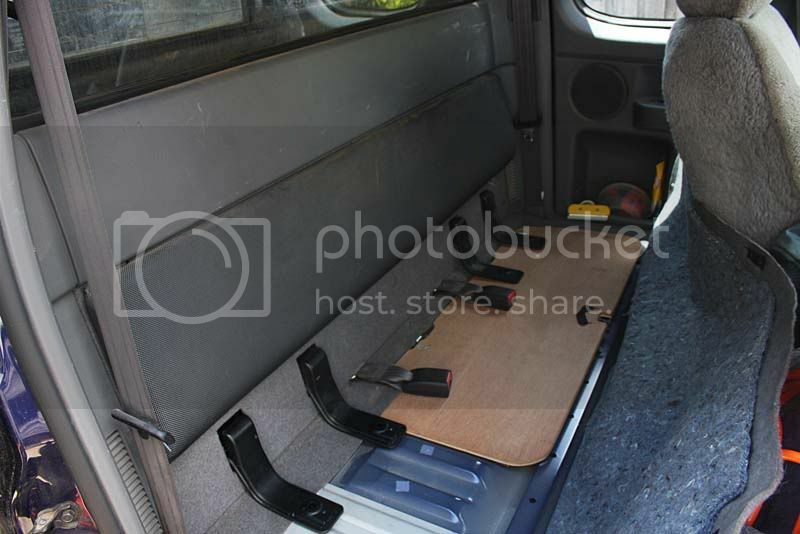 As promised I got around to removing the rear fold-down seats in my supercab Ranger and also took some photos of the process. Thought I'd post it up as a 'how to' for anyone else that's a bit weary of having a crack; all-in-all should take no more than an hour or so tops (hard to tell when you're figuring it out & taking photos lol). 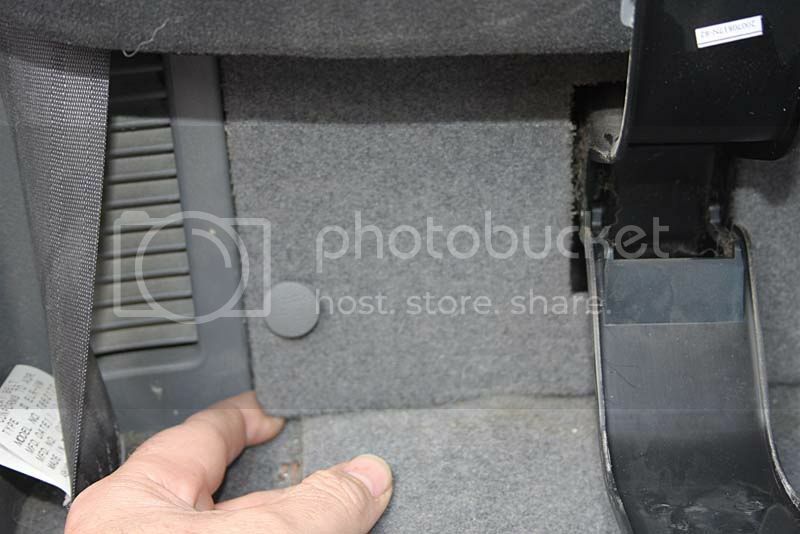 Start by undoing the little phillips-head screws on the underside of the seat cushion brackets. 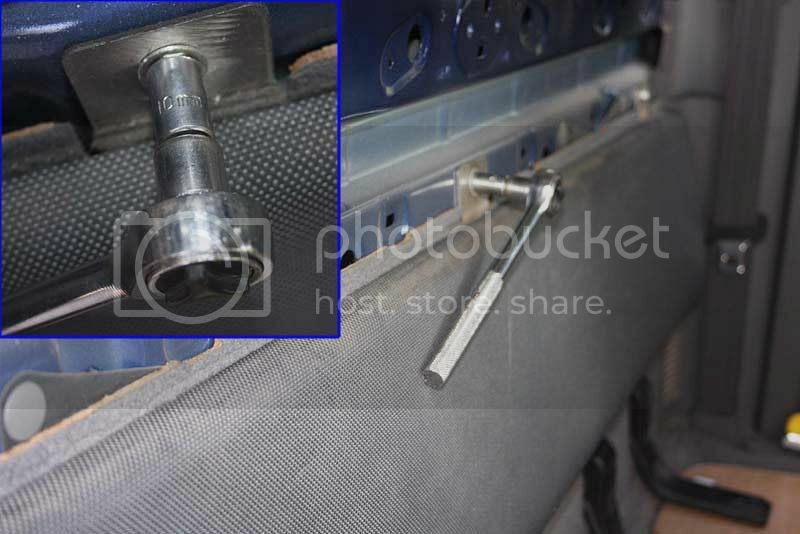 Then using a flat-head screwdriver if need be, pop the plastic fold-down cover of the bracket (see inset) to reveal the seat cushion retaining bolts underneath. 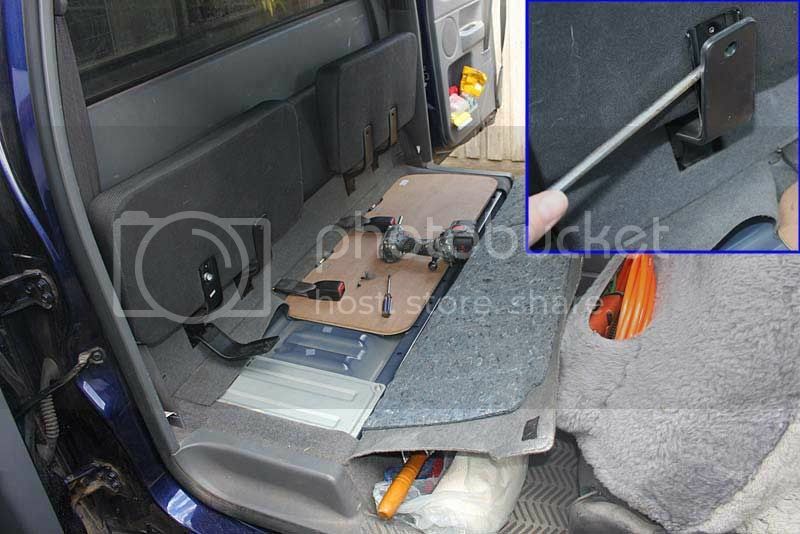 Now using a 12mm socket or spanner, remove the seat cushions by undoing the bolts retaining them and set them aside. 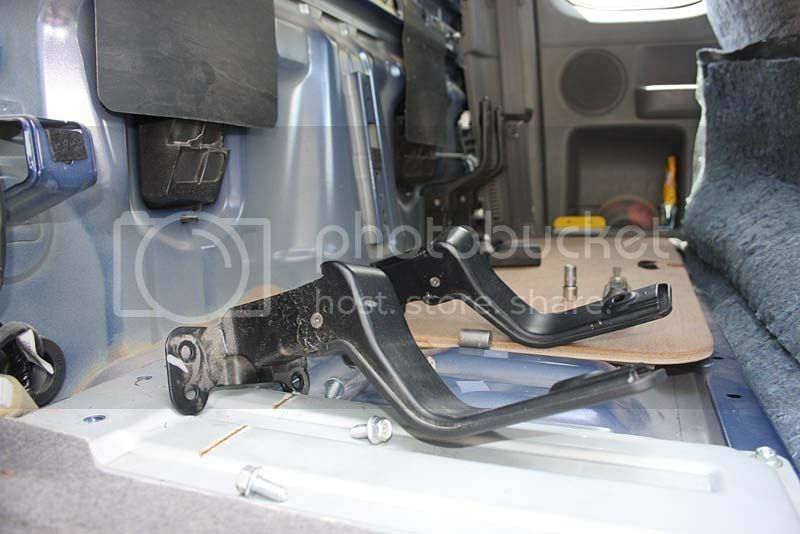 Then fold down the spring-loaded brackets so they sit flat to the floor. We now proceed to removing the plastic headboard above the center cushion. 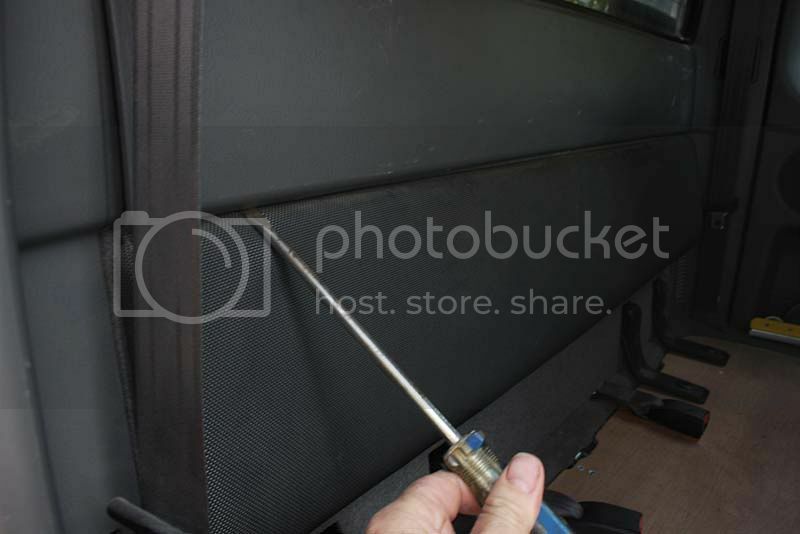 Do this by inserting a flat-head screwdriver under the headboard as shown in the photo below and then gently levering the plastic upwards. 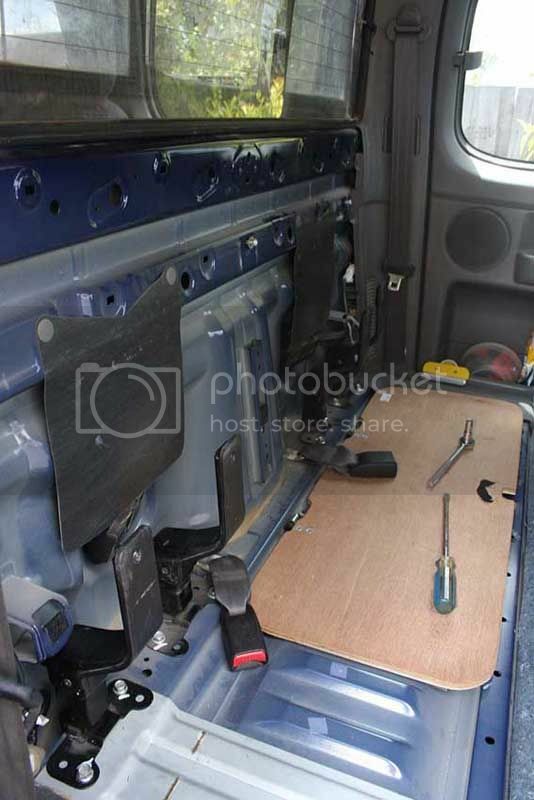 Once you have enough gap to get your fingers behind, you can then slowly pull the headboard off or keep working it off with the screwdriver if you prefer. Note: This process can sound rather gruesome, like something is snapping that shouldn't be; rest assured this is normal. 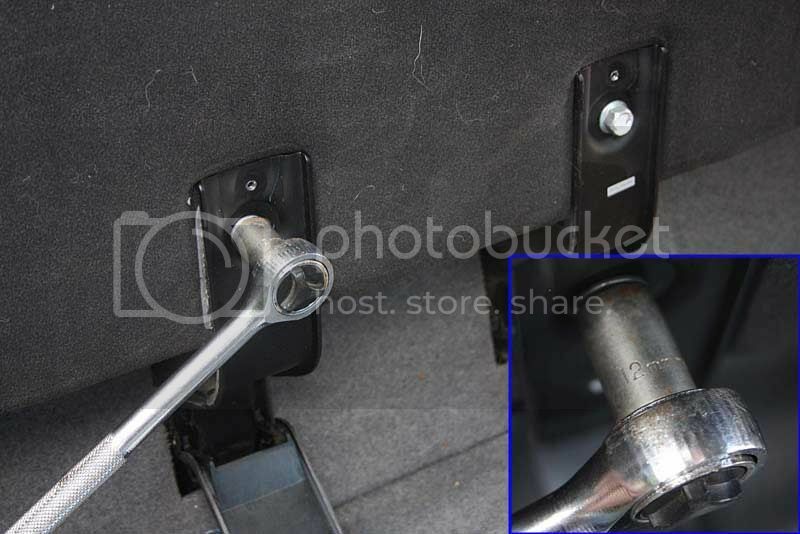 See the two insets in the photos below for what the retaining pins look like. 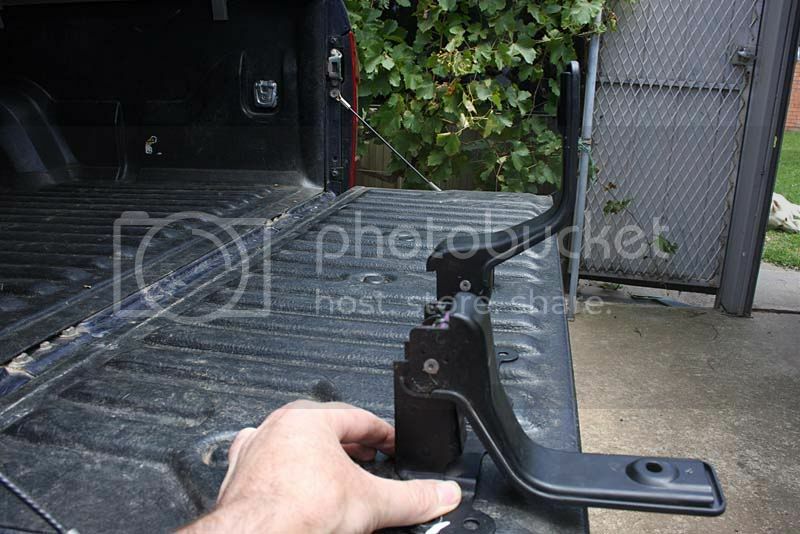 After removing the plastic headboard above, you should now see the three bolts that hold the center cushion in place; undo these bolts using a 10mm socket or spanner and then lift the center cushion upwards and outwards and set aside. Before we pull off the masonite backing panel to access the bolts that remove the seat cushion brackets, we have to just pop out the three little retaining pins along the bottom of the panel as per the photos below; now would also be a good time to spring the seat cushion brackets into their upright position. I found the best way to pop the retaining pins was by just grabbing the lower part of the carpet/panel and giving it a swift tug where the pins were and they just popped. Once these three pins are popped out you can then go about removing the masonite panel and setting it aside. And the rest is history she cried. 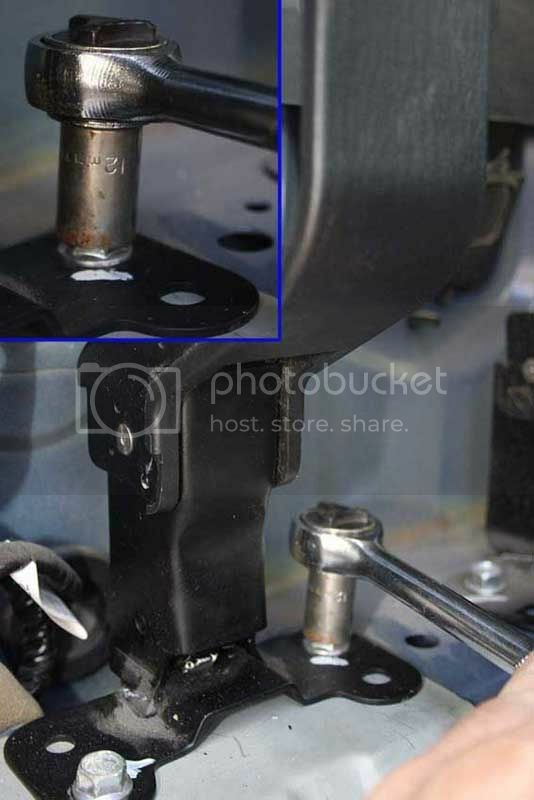 Using a 12mm socket/spanner you can now undo the retaining bolts that hold the fold-down brackets in place and remove them. 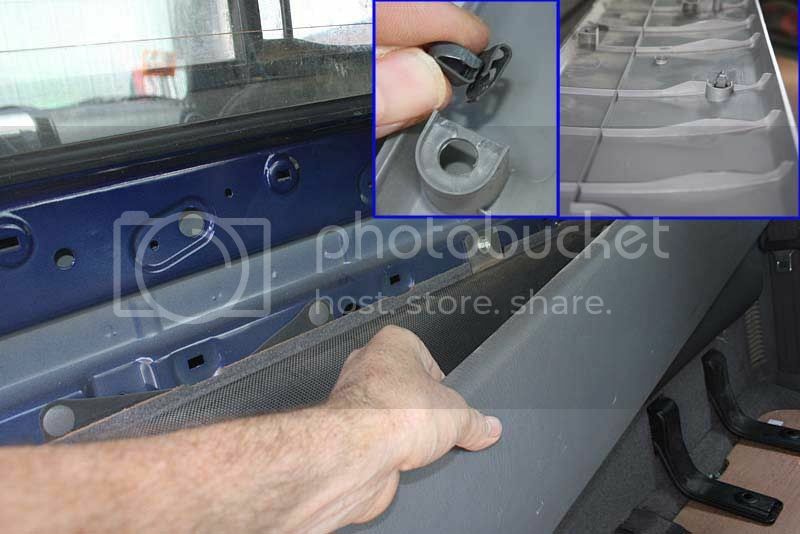 You will also notice that Ford in all of their infinite wisdom have even placed white marks on the brackets where the bolts go so that when/if you reinstall them you won't forget which is which — how thoughtful of them lol. Re-installation is obviously the reverse of the above. 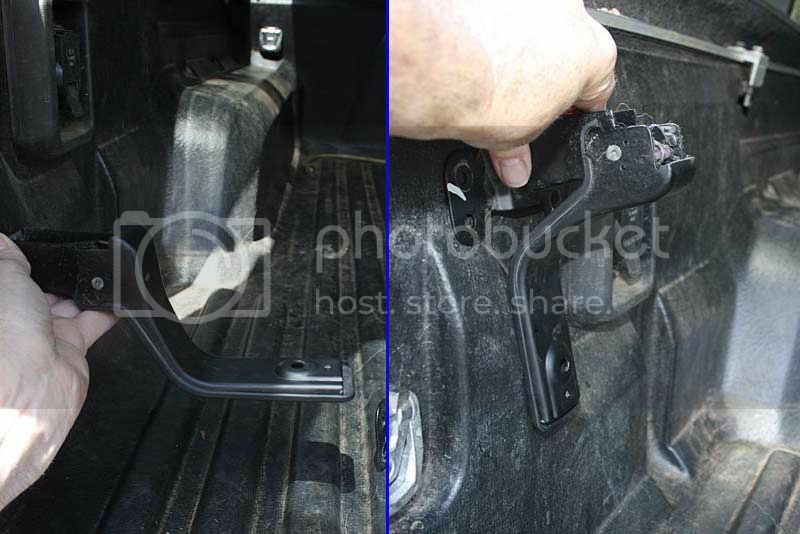 After all of this I actually left my fold-down brackets on as I only needed to remove the actual cushions to fit my 25lt Waeco snuggly in behind the center console. A fold down shelf in the tub maybe? Photos make the process very easy to follow. On mine I left the bottom felt panel in place and used the plastic panel to hold it in place. 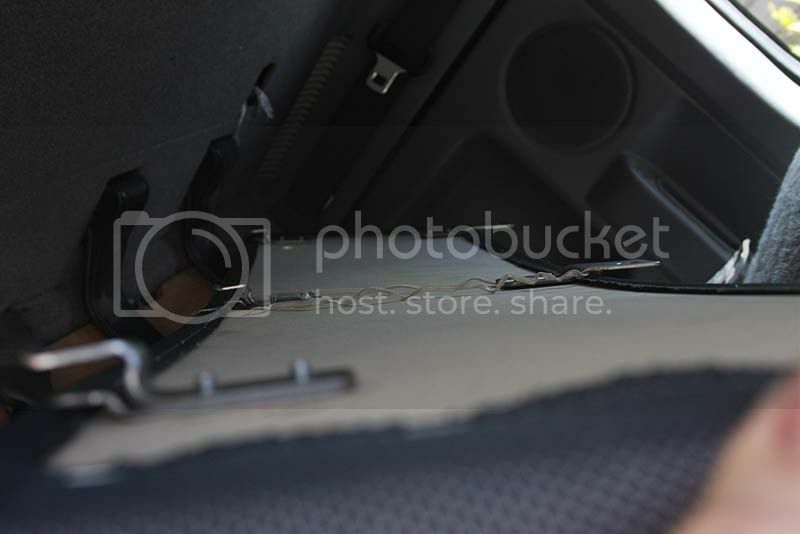 I left the flimsy back rest off altogether so as my 60 l ARB fridge would fit across the back seat on a new false floor. That's fantastic JBird. But are you sure this is the first time you have done it. Those pics and your explanation make it look like you've done hundreds of 'em. Snorkey, they do hey! The amount of times I have read descriptions about how to do things thinking "this would be so much bloody easier with photos" lol. 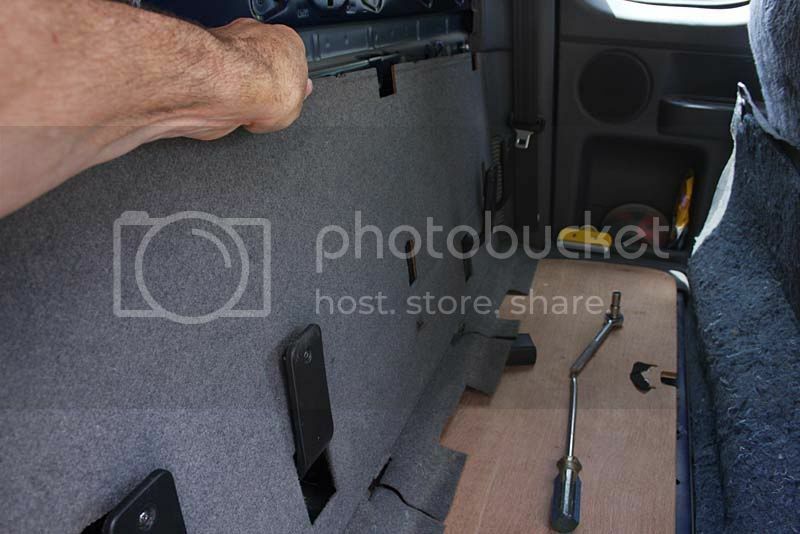 When you think about it, there is a lot of room for customization with the supercab rear seat arrangement. Cavey mate, without a word of a lie that is the first (and only) time I have ever done that; it really is that easy. As soon as Snorkey mentioned about the plastic headboard in my other post it all just fell into place. Nice work Jbird!!! makes it a hell of a lot simpler to understand!! cheers mate! 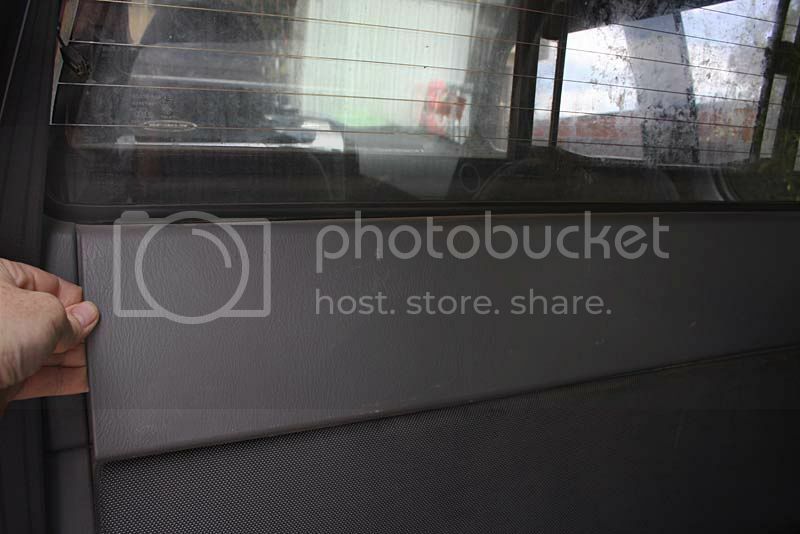 Sorry Ranger 4x4, it seems that photobucket will no longer let anyone else see them unless the owner coughs up about $400 for the privilege!! Most of the pics/images that are hosted on the A4WDA servers are still available, altho the links to some need tracing/re-setting.... but anything hosted on photobucket they (photobucket) have blocked all other access to unless the owner pays up! I realise this thread is a bit old but I just thought I'd show you how I finished mine off with a piece of 6mm marine ply, couple of coats clear lacquer. Keeps a lot of road noise out but does not interfere with cabin flow through ventilation.